ContiTech HY-T Wedge belts have a narrower cross section than standard V-belts so it distributes stresses more uniformly to deliver more consistent, more reliable power transmission. A wedge cross section means the belts are narrower and weigh less. Narrower belts allow for the use of thinner and lighter sheaves, resulting in a more efficient drive. Vytacord tension members, provide strength and dimensional stability. 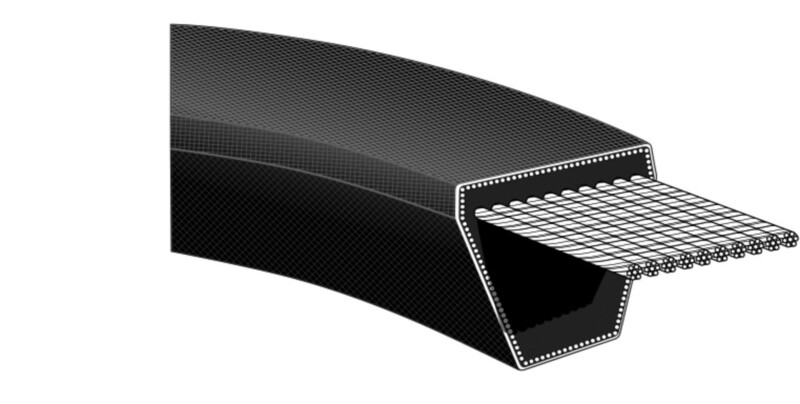 Higher horsepower capacity is also provided through a tough engineered rubber compound cushion, adding to belt strength. Since less power is required to run the smaller, lighter drives, more power gets to the load. See pulley section and if you have any question Contact Us.